Beautiful hand polished cast fascia in satin chrome finish or black. 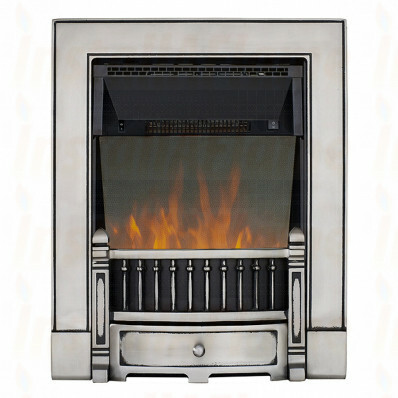 An eclectic mix of classical design features from period fireplaces that transcend the fashions of time. The 1090 utilises the same LED electric engine as the 1080 but incorporates a mirrored glass fascia that enhances the flame effect increasing perceived depth. The 1090 is a NEW electric fire featuring LED technology designed to significantly improve the flame picture and running performance. This modern technology is not only easier on the eye but it is a fraction of the cost to run a standard conventional bulb and will last longer too. To keep the operation simple you have the three control options: 1) Flame effect only, 2) Flame + 1kW Heat, 3) Flame + 2kW Heat. The controls are mounted discretely under the hood and can be accessed easily. 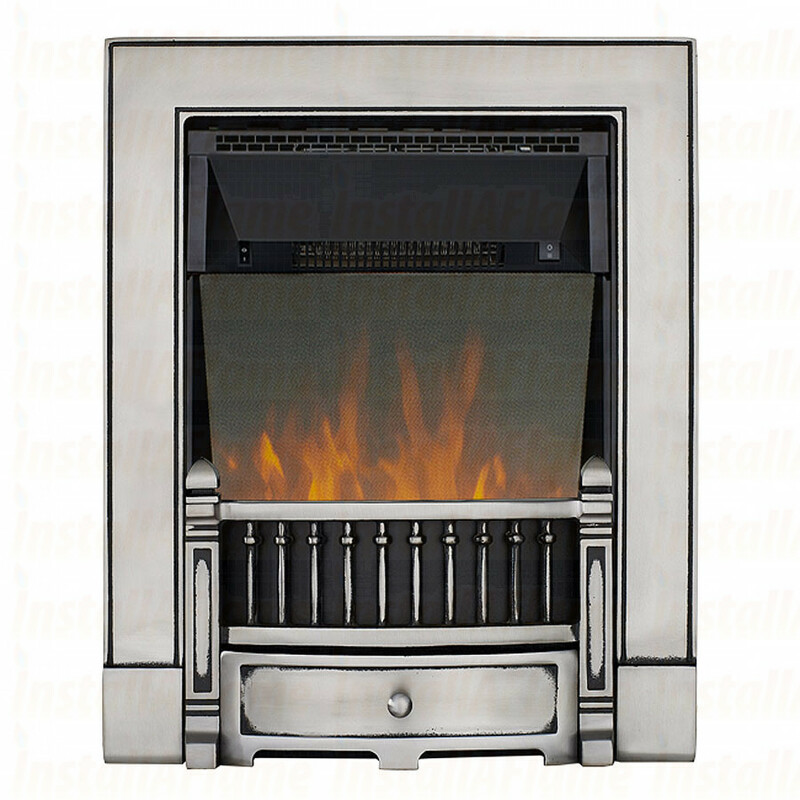 Also included are two detachable spacer frames to allow the fire to be installed in a fireplace; fully inset (requires a 5" fireplace depth), semi inset (3" fireplace depth) or simply freestanding without a fireplace to fit flush against a wall. The 1090 is specified with a one piece fixed realistic moulded coal fuelbed which provides a warm under fuelbed glow that you would expect from a real gas fire. This product is covered by our comprehensive 3 year guarantee.